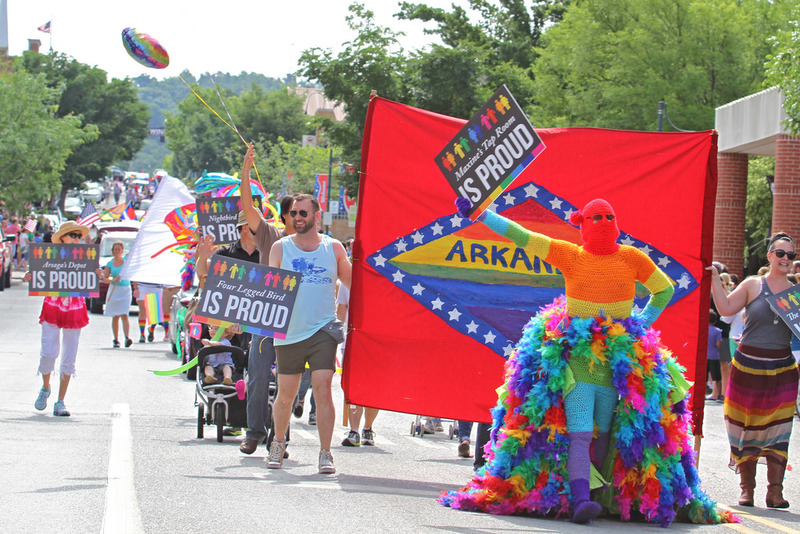 The Human Rights Campaign has ranked Fayetteville at the top of its list of cities in Arkansas that protect the rights of LGBT citizens. 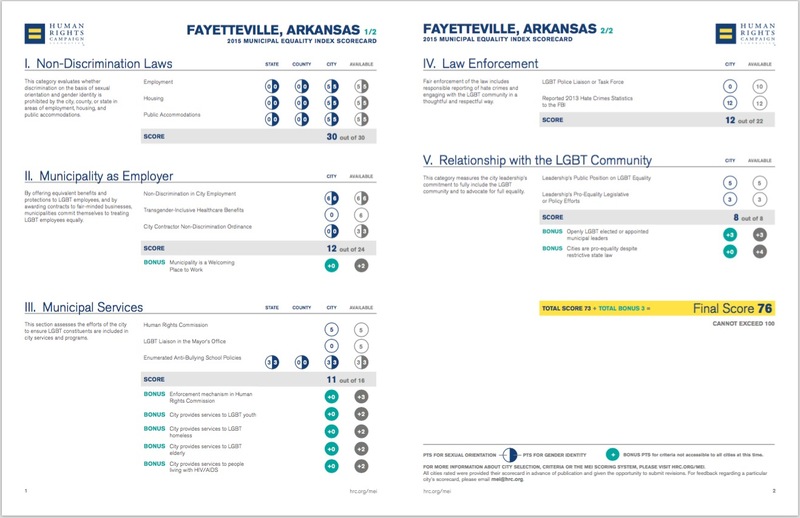 Fayetteville scored a 76 out of 100 possible points on its 2015 Municipal Equality Index, which examines the laws, policies, and services of cities and rates them on the basis of their inclusivity of LGBT people who live and work there. Scores are based on several factors, including anti-discrimination laws, city employment policies, inclusiveness of municipal services, hate crime reporting, and city leadership’s relationship with the LGBT community. Five other Arkansas cities made the list this year, including Little Rock, which earned 46 points. Fort Smith, Jonesboro, North Little Rock and Springdale all scored 18 points. 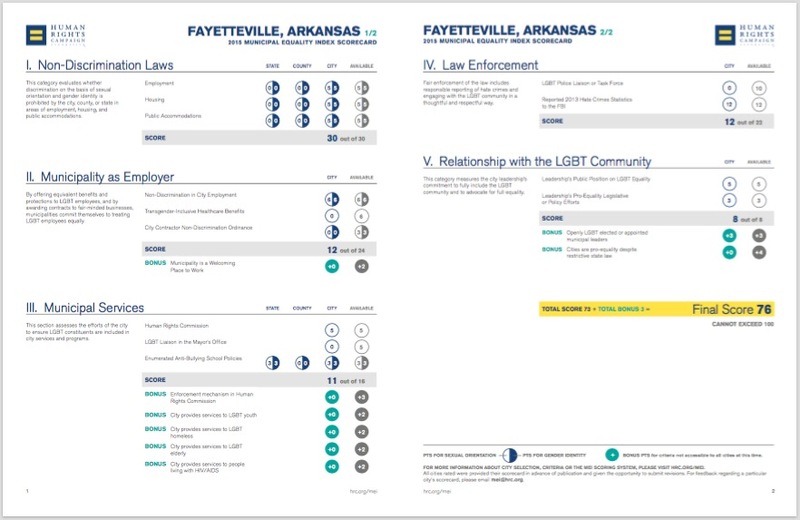 Fayetteville’s recently passed anti-discrimination ordiance earned the city a perfect score of 30 points in that category. The city lost points for having no transgender-inclusive healthcare benefits, no city contractor non-discrimination ordinance, no LGBT liaison in the mayor’s office, and no LGBT police liaison or task force. Fayetteville earned three bonus points for having openly LGBT elected or appointed municipal leaders. 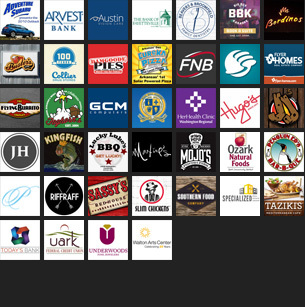 Of the 408 municipalites included in this year’s list, 47 cities earned perfect 100-point scores. That’s an increase of nine cities over the 38 that earned perfect scores in 2014. Eleven cities earned 100-point scores in 2012 and 25 cities had perfect scores in 2013.